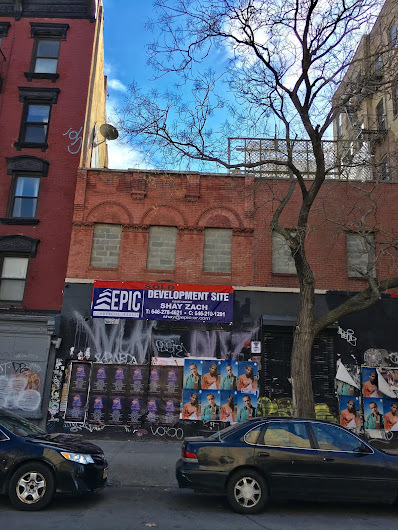 Developer Sergey Rybak filed plans with the city yesterday for a 7-floor, 22-unit residential building at 99-101 E. Second St., part of the L-shaped assemblage that once housed Lucky Cheng's. In total, the building will encompass 19,000 square feet, as The Real Deal first reported. As we first reported in March, Rybak, of the South Brooklyn-based Rybak Development, was the winning bidder during an auction in February. According to EPIC Commercial Realty, who represented the buyer and the seller, the winning bid was $12.25 million. 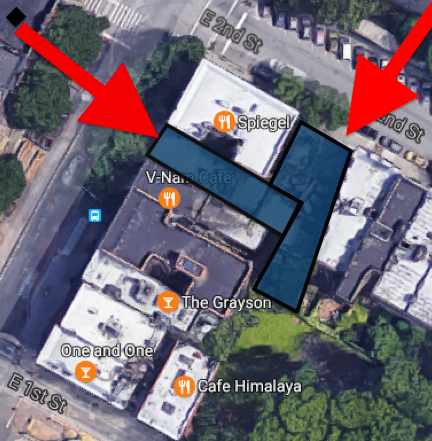 So far, there aren't any demolition permits on file. 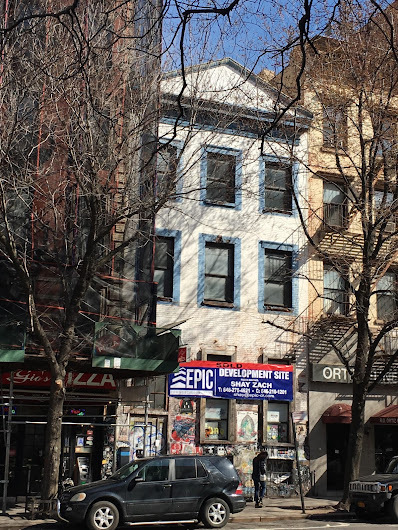 Hayne Suthon, who owned and and operated Lucky Cheng's, the cross-dressing cabaret, also lived on the upper floors at 24 First Ave. She died of cancer at age 57 in June 2014. No. 99-101 Second St. housed a variety of short-lived restaurants in recent years, including Bento Burger ... Marfa... and Waikiki Wally's. And don't forget The Baths! It was a gay bath house for years before all of this. I've always like that little red brick building; it was originally built as a horse stable, and it's a true rarity, probably one of the few left in the city - for now, at least.